Dr. Viktor Frankl The Father of "LOGOTHERAPY"
...about this group..their methods came from a totally new fresh perspective founded on the work of the famous Dr. Viktor Frankl. …In that space is the power to choose our response. In our response lies our growth and our freedom”. He spent two years as an inmate in a Nazi Concentration Camp where many inhumane experiments were preformed on him. What, exactly, is this Space he talks about? It is the pause in time where we choose how we are going to respond to our stimulus. Remember Pavlov’s dog? If we’ve become ‘Conditioned’ to salivate to a bell, we’ve inaccurately decided that the bell means food. Continue READING on page 8 ABOVE. Man's Search for Meaning is a 1946 book by Viktor Frankl chronicling his experiences as a concentration camp inmate and describing his psychotherapeutic method of finding a reason to live. 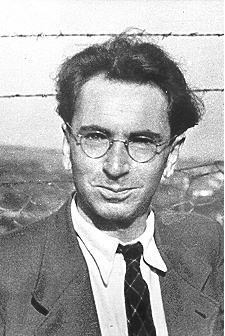 According to Frankl, the book intends to answer the question "How was everyday life in a concentration camp reflected in the mind of the average prisoner?" Part One constitutes Frankl's analysis of his experiences in the concentration camps, while Part Two introduces his ideas of meaning and his theory of logotherapy.